Judaism, Christianity and Islam each claim Abraham as central to their heritage: For the Jews, Abraham is their ethnic progenitor and a model of trust in Yahweh. For Christians, Abraham models justification by faith (see Romans 4). For Muslims, Abraham is a key prophet in a prophetic line extending from Adam to Muhammad. He is mentioned in 35 of the 114 chapters of the Qur?an, and is proclaimed as a prophet who early on modeled the singular belief in Allah and who declared allegiance and faith in Allah. To Muslims, his importance is as a prophet, not as the father of the Jews. But the Bible pronounces Abraham a watershed figure in God?s redemptive plan. Before him, God dealt with all of humanity, making no covenant distinctions. But God chose Abraham (see Genesis 12:1-7), when he was 75, living in prosperous, secure, and wealthy Ur, and told him to leave his community and extended family and go to a place He would show him. Amazingly, he went! God determined to focus His redemptive plan on one man and his descendants. Abraham had begun his walk of faith with Yahweh. The Bible presents him as a model of faith, who was a friend of God (James 2:23) and whose faith resulted in his justification (see Galatians 3:6-9 and Romans 4, both of which allude to Genesis 15:6, when Abraham was justified). He and Sarah waited 25 more years before the covenant son was born (see Genesis 21) and then God asked Abraham to sacrifice that son (Genesis 22). Abraham?s staggering faith was strengthened as he waited for God to fulfill His covenant promises (see Hebrews 11:8-19). In choosing Abraham, God made a three-fold promise?land, seed and blessing (see Genesis 12:1-7). That three-fold covenant is the basis for understanding God?s redemptive plan, which was now inextricably linked with the Jews. God used an ancient Akkadian practice to show that His covenant was unilateral and unconditional (see Genesis 15) and, in Genesis 17, established circumcision as the sign of that covenant, when he changed Abram?s name to Abraham (?father of a multitude?). The land promise was to be the entire land of Canaan. The seed promise produced the Davidic Covenant (see 2 Samuel 7:16), which was fulfilled in Jesus. The blessing promise was fulfilled in the salvation which Jesus offered to the world through His death, burial and resurrection (see Galatians 3 and Romans 4). Abraham is therefore a key biblical figure that links the 66 books of the Bible together. In this Perspective, I seek to summarize the life of Abraham as revealed in the book of Genesis. It is the infallible testimony of this book that enables us to see the centrality of Abraham to God?s redemptive plan. According to Genesis 12, Abram lived in Ur of the Chaldees, an important cosmopolitan Sumerian city. Ur was the central hub of Sumerian city-states in southern Mesopotamia, the land between the Tigris and Euphrates Rivers. Abram was born in 2166 B.C. According to the biblical genealogy of Abram (Genesis 11:10-32), Abram and his family were Semitic peoples, but the Bible does not detail when or why they settled in Ur. Joshua 24:2 indicates that Abram, his father Terah and the family worshipped the gods associated with Ur, more than likely the moon god, Sin, and his many associates in the Sumerian pantheon. Evidence of this worship could be reflected in the names Sarah (Abram?s wife) and Milcah (his brother?s daughter), both of which derived from Babylonian titles. Milcah means ?princess,? the daughter of the moon god Sin, and Sarah means ?queen,? the wife of the moon god Sin. Indeed, Abram?s father, Terah, is a Hebrew form of the term moon, another indication of the family?s pagan worship. Yet, Genesis 31:53 explains that Abram worshiped the true God. What caused the change? Abram responded in faith to God?s call to leave Ur and found a new nation that would bless the entire world. What makes Abram?s response even more remarkable is that Abram?s conversion and response of faith was the response of a pagan. Plus he was old, more than likely prosperous and well-established in Ur. The nation of Israel was founded by Abram the man of faith and it was rooted in God?s will?He chose Abram! God?s promise to Abram (Genesis 12:1-7) was threefold: His descendants would be as numerous as the stars and the sand, He would give him land and He would bless the world through Abram. 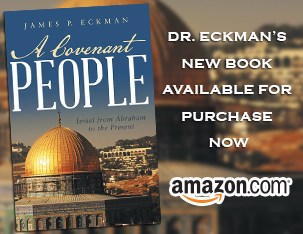 This promise is called the Abrahamic Covenant and it provides the key framework for explaining how God has dealt with Israel throughout its long history. Connecting Genesis 15:17-21 to 12:1-7 is critical, for these verses describe how God ?cut a covenant? with Abram. In the ancient world, especially the ancient Akkadian world from which Abram came, animals were killed, cut in two, and their respective parts were then laid opposite one another. The parties making the covenant then walked between them together, signifying that if either party broke the covenant, that party would become as dead. However, in this narrative, God (in the symbolic form of the oven and the torch) walked between the severed animals alone. God, who is holy and perfect, was binding Himself to this covenant. He would fulfill His unconditional and eternal covenant promises, for His promises to Abram and his descendants are forever. In the narrative (15: 6), it says that ?Abraham believed God and it was counted to him as righteousness.? As the New Testament affirms (Romans 4 and Galatians 3:6-9), here is where Abram was justified by his faith. A severe drought and famine in the Negev caused Abram and his family to seek relief in Egypt, where, because of the Nile Valley, there was normally an abundance of food. While in Egypt, he would no doubt have the viewed the great pyramids near Memphis. He was welcomed by the pharaoh (perhaps Wahkare Achtthoes III) to whom he lied about his wife Sarah. Despite Abram?s duplicity, God blessed him with abundant sheep, cattle and camels. Abram returned to the Negev a wealthy man. Genesis 13 mentions that Abram traveled throughout the land of Canaan, following an alternation between the hill country and the southern desert lands. During the winter months, Abram and his clan grazed their animals in the Negev where winter rains provided grass for the herds. During the hot summer months, they traveled to the hill country (Shechem, Bethel, and Ai), where the grazing lands were cooler. So wealthy had Abram become, that he and Lot decided to separate. Lot chose the area in the southern Jordan Valley in Transjordan, while Abram chose the hill country south to Hebron. The Genesis text makes no significant reference to any resistance from the Canaanites, who inhabited the valleys and coastal plan. Abram was now living in the land God had promised him, and he was referred to as ?Abram, the Hebrew? (14:13). The remaining narrative of Abram?s life (Genesis 14-23) takes on an entirely different tone in the text. The results of Abram settling in Canaan are detailed. Each part of this narrative expands upon Abram, the founder of the nation, as a man of extraordinary faith. First is the story of Lot?s kidnapping in Genesis 14 by powerful kings of the east. The difficult names of the eastern kings cannot yet be identified with known rulers from this period in history. However, the place names can: Shinar, Elam, Arioch, Tidal and Zoar are all identifiable locations in the Ancient Near East. The five kings of the Jordan valley had apparently been vassal states, paying tribute to these eastern kings. When they rebelled, Chedorlaomer of Elam led the other eastern kings in an effort to crush the revolt. The result was the battle of Siddim, in which Lot was captured. Abram then assembled an army of 318 men, who chased the enemy as far as Dan (then known as Laish). During a nighttime raid, Abram rescued Lot, his possessions and his family. The text makes clear that Abram?s victory was by the power of God. The land God promised him had been plundered, so Abram, trusting in God, vanquished his enemies, proving the outworking of the covenant promises of God. Abram refused to accept anything from the pagan king of Sodom (14:22-24), for he relied on God to keep His promises and would depend on His blessing, not those of a pagan king. For that reason, Abram received the blessing from and paid tithes to the mysterious Melchizedek, a priest-king linked to Jerusalem. The contrast between Abram?s response to the King of Sodom and to Melchizedek heightens the message that Abram is a man of faith in God: He would wait for God?s blessing. Second, the debacle with Hagar in Genesis 16 illustrates how the founders of Israel often exhibited impatience as they waited for God to fulfill His promises. When barrenness occurred in the Ancient Near East, it was a common practice for a maidservant to bear a child in place of the wife. Hence, Sarah suggests that Abram take her servant Hagar. The result is Ishmael and an unbelievably complicated legacy. As Allen P. Ross suggests, the lesson of this passage is ?trust God?s Word and patiently wait for His promises. Foolishly to adopt worldly customs and expedients will only complicate matters and bring greater tensions. Any people who owe their existence to divine creation and election must live by faith.? Third, in chapter 17, thirteen years after Ishmael was born, Abram was 99 years old and God appeared to him again. God declared Himself to be ?God Almighty? (El Shaddai in 17:1), and affirmed the unconditional nature of the covenant. God declared that Abram would be ?the father of many nations,? and He changed his name from Abram, an old West Semitic name (a ?father of distinguished birth? ), to Abraham (a ?father of a multitude?). By renaming him Abraham, God was giving him a pledge of His promise. God then instituted the sign of the covenant?circumcision. As Ross argues, ?With this symbol God instructed his people regarding the joining of faith with the act of reproduction. The sign was sexual?the promise was for a seed.? Fourth, God?s covenant with Abraham is recorded five times in Genesis?12:1-3; 13:14-17; 15:1-21; 17:1-22; and 22:15-18. Each one of these iterations of the promise was conditioned on Abraham having a son, but Abraham had no son. When Abraham entered Canaan, he was 75 and he was 85 when Ishmael was born. Finally, in 2066 B.C., Sarah (at age 90) gave birth to Isaac, the covenant son, when Abraham was 100 years old (Genesis 21:1-7). Why did Abraham and Sarah need to wait 25 years for Isaac? The Bible is silent on this, but it seems reasonable that the delay was a significant test of Abraham?s faith. Could he trust God and His promises? Despite Ishmael, Abraham did trust God. But another reason is certain. Because Abraham was 100 and Sarah was 90, Isaac?s birth was a miracle, and it was imperative for Abraham to understand that. Further, the ongoing fulfillment of God?s promises to Abraham would also be miraculous. The people of Israel, Abraham?s descendants, could only be explained as supernatural?the very conclusion God wanted them to draw. Finally, due to his treaty with Abimelech (Genesis 21:22-34), Abraham settled in Beersheba in the northern Negev. In Beersheba, the greatest test of Abraham (Genesis 22), the man of faith, is recorded. He had waited 25 years for Isaac and then God tested his faith: Would Abraham be willing to give his son back to God? The command was to offer Isaac on Mount Moriah, about 45 miles north of Beersheba. The narrative presents Abraham as a man of unwavering faith, arising early in the morning to obey God?s command (v. 3), even declaring to his servant who accompanied him, that both he and his son would return (vv. 5-8; Hebrews 11;17-19), implying God would restore his son?s life. Because of Abraham?s faith, God provided a substitute (a ram), which was sacrificed in Isaac?s place (v. 13). For Abraham God was Jehovah Jireh, the Lord who provides. God, in the language of a vow, then reiterated His covenant promises to Abraham (vv. 15-18). Since 2 Chronicles 3:1 explains that Solomon built the Temple on Mount Moriah, the connection between Isaac and Jesus cannot be missed. Two thousand years later, another Father and Son would walk up that same Mount Moriah, but there would be no substitute for that Son, for He was the substitute (see Isaiah 52:13-53:12). The New Testament constructs the inter-textual link between Abraham?s offspring and Jesus Christ quite clearly. Jesus is the ?Seed? of Abraham who would die for sin and provide the offer of justification by faith (Galatians 3:16). Throughout the Bible, Abraham, as the founder of the Jewish nation, is presented as a paradigm of faith, the father of all those who believe. Despite his moments of doubt, he was called a ?friend of God? (James 2:23). For the people of Israel, Abraham was, not only their ?father,? but also their model of how to walk with God.